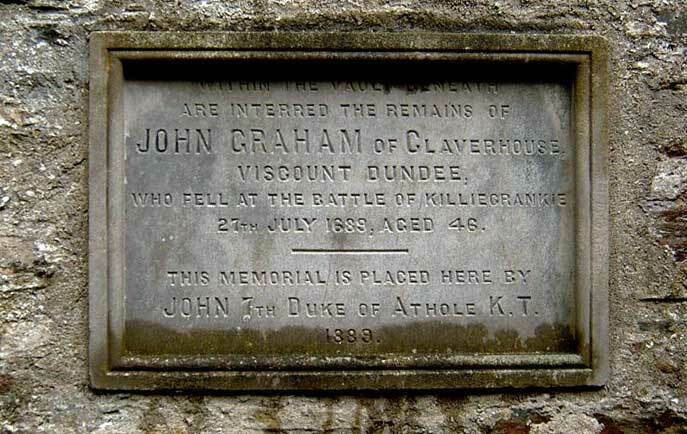 He was born John Graham of Claverhouse in 1648 near Perth. But the descendant of Robert III will always be known as Bonnie Dundee, a clever moniker attached to him years later for his fighting spirit. Claverhouse lived during a time of religious upheaval in Scotland. After attending St Andrews University, the handsome and devil-may-care cavalier embarked on a successful military career in the service of French King Louis XIV in the war with Holland. 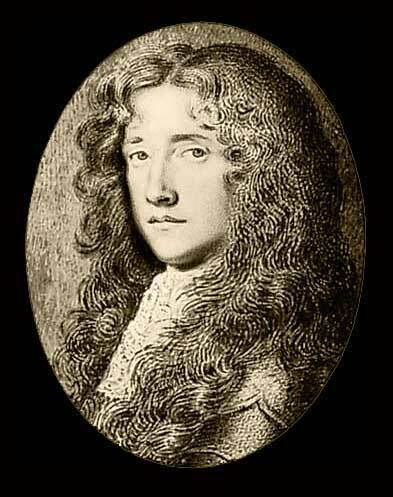 On his return to Scotland around 1679, he was conferred the rank of captain by Charles II of Scotland, who had renounced the Covenants and duly sent Claverhouse to the country's south-west tasked with suppressing "seditious conventicles", the illegal Presbyterian meetings being held by Covenanters there. Setting up his headquarters at the Black Bull Hotel in Moffat, he co-ordinated the systematic persecution and oppression of the Covenanters, rounding them up from the Galloway hills and escorting them to Edinburgh for imprisonment or execution. It was evidently a duty he carried out with enthusiasm, as he earned the nickname "The Bluidy Clavers" from the Covenanters. Orange take his place - Claverhouse, now with the title Viscount Dundee attached, quickly became active within the Jacobite movement, the campaign to restore a Stewart King to the throne. In reaction to a convention called in Edinburgh, he made for the Highlands to assemble a Jacobite army to participate in the numerous rebellions and risings throughout Scotland, the most famous of which, and the one for which he is best remembered, was the Battle of Killiecrankie in 1689. William of Orange’s government troops, primarily made up of Lowland Scots rather than English and led by Major General Hugh MacKay of Scourie, a Highlander himself, were making their way north when they were intercepted by Claverhouse’s 2,000 strong Jacobite army at the dramatic pass of Killiecrankie in Highland Perthshire. Claverhouse’s Highlanders were outnumbered by almost two-to-one by an enemy armed with modern-day muskets. Surveying the opposing forces from the tactical high ground above the pass of Killiekrankie, Claverhouse waited for the sun to drop on 27 July, and that evening led the charge into a hail of musket fire. What the Jacobites lacked in firepower they made up for when it came to close combat, and soon the government troops were being slaughtered in what was to be one of the last examples of a successful Highland Charge. The battle was notorious for its savagery. Ian Lorn Macdonald, the bard of Keppoch stated that "the red blood flowed in waves over the grass, and a thousand spades would be needed to level the graves of the enemy". The following day a Jacobite commander escorted his men back to view the corpse-strewn battlefield and they were horrified by what they had done. The losses were great on both sides, however, with the Jacobites losing a third of their numbers - their commander amongst them - meaning that Claverhouse’s greatest victory would also prove to be his last stand, and he was carried from the field fatally wounded at end of the battle. It is thought that as he died he asked "How fares the fight?" and was told, "The day goes well for the King, but I am sorry for your Lordship." To which he replied, "It matters less for me, seeing that the day goes well for my master." His hope for the cause was misplaced however, as within a month the unsuccessful standoff at the battle of Dunkeld would effectively signal the end of the Jacobite movement. Claverhouse's body was carried north to Blair Atholl kirkyard, Perthshire, where he lies in St Bride’s Kirk within the grounds of Blair Castle. The Killiecrankie stone, a menhir in a field near the battlefield, is also known as Claverhouse’s stone and is clearly viewable from the road through Killiecrankie.